Marching Bands involve a large group of people playing loud music in large areas. How can a band director or drum major make their voice and message heard over these obstacles? 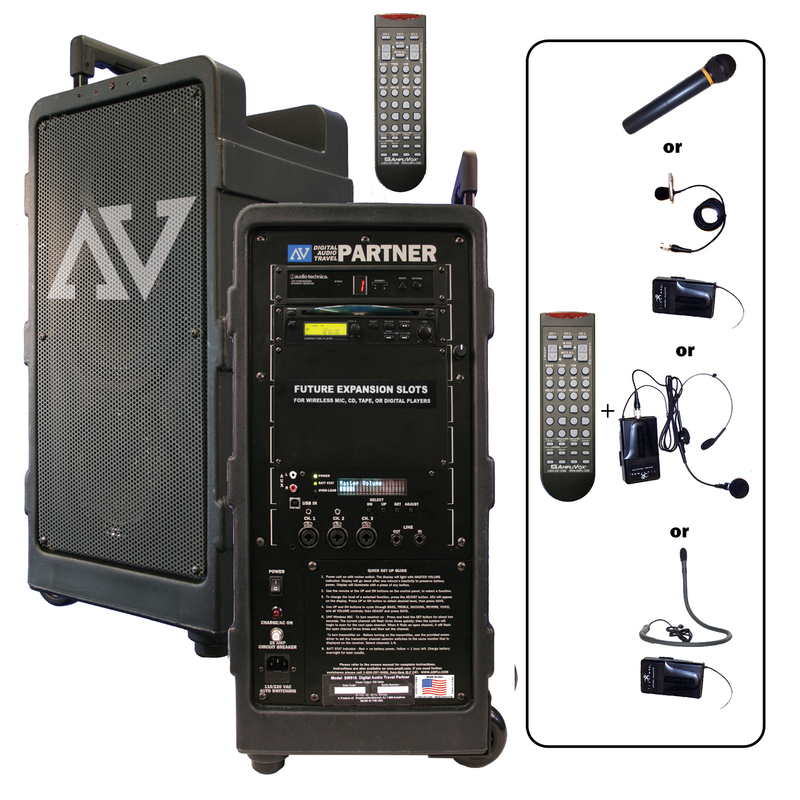 AmpliVox Portable PA Systems project the speaker's voice over crowds of up to 7,500 people in 25,000 square feet. 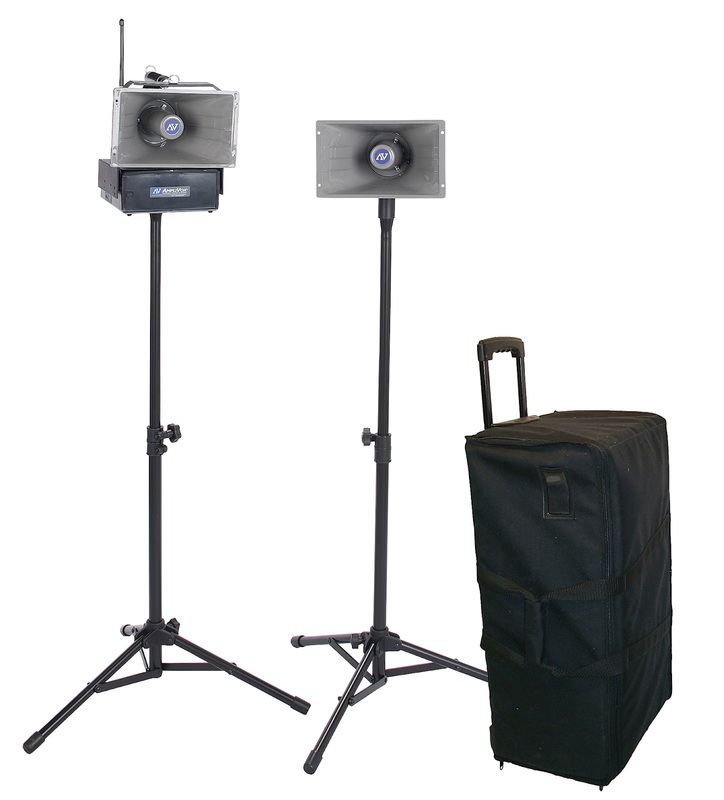 The Half-Mile Hailer is the perfect outdoor PA system for directing an outside band practice or outdoor marching routine. It can project your voice up to one half mile as it's name indicates. 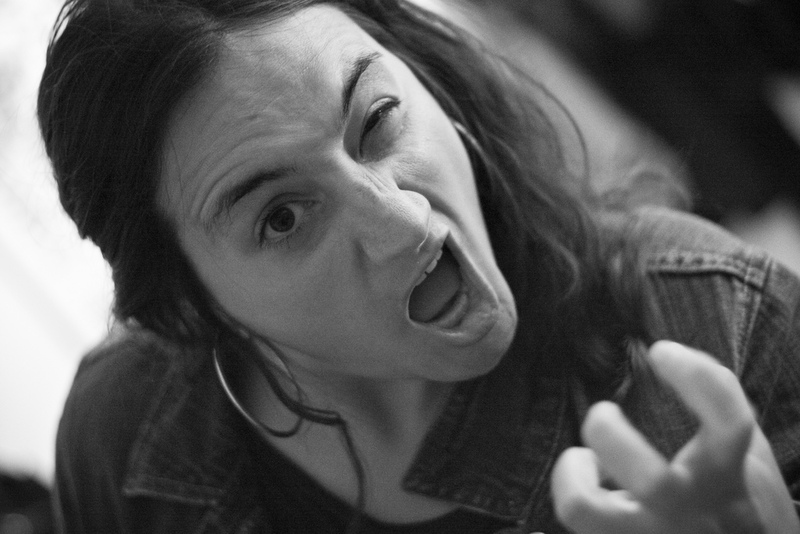 Use this to direct band members or crowd members. With the new Police Siren Feature, users are able to alert crowds and get their attention faster than ever. 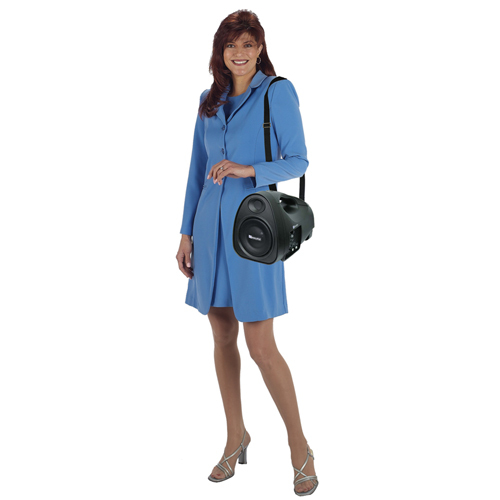 The Mity-Lite Personal PA System is a lightweight system that is the perfect over the shoulder speaker for communication. It is a 35-watt system that can be used indoors or outdoors and can also amplify an iPod, smartphone (like an iPhone), or other external device. The iPod Portable PA System is a customer favorite because it simultaneously plays and charges your iPod or iPhone and features a remote control. This would be great for color guard practices or dance crew competitions. It is a great investment for a school due to the variety of applications it has. 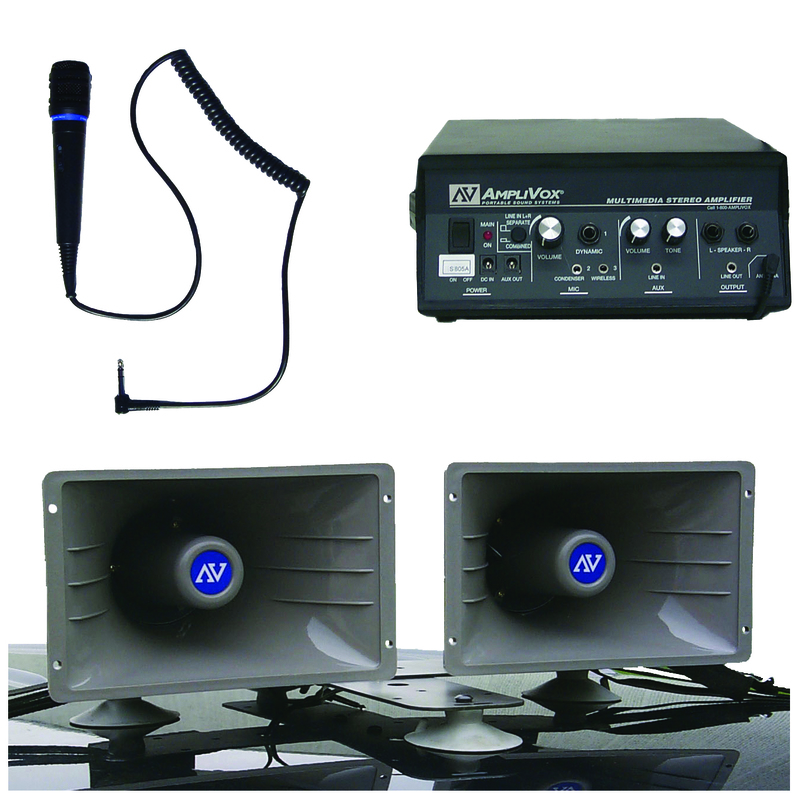 The wireless microphone and rechargeable battery make it hassle free and easy to use. Megaphones are another great option for a marching band because they are hand held and battery powered. The emergency siren and whistle button feature allow a band director the power to communicate clearly. Our Safety Strobe Megaphone features a flashlight and strobe light along with a siren, whistle, and play-and-record feature. 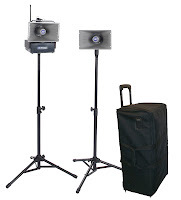 The Titan Wireless PA System and Digital Audio Travel Partner PA System are large area systems that allow for optimal functionality and versatility. The Titan Wireless PA System is a 100-watt system that neatly organizes your microphone and other equipment while clearly projecting your voice or music while the Digital Audio Travel Partner allows the user to use multiple wireless microphones simultaneously and allows users to project their audio or music through a CD, USB drive, SD card slot, or iPod at 250 booming watts. Either of these systems would be perfect for marching band podiums to blast music or directions to marching band members. Whether you need a system for your practice room, football game half-time show, or state championship competition or contest, AmpliVox will meet your pep band and marching band needs. 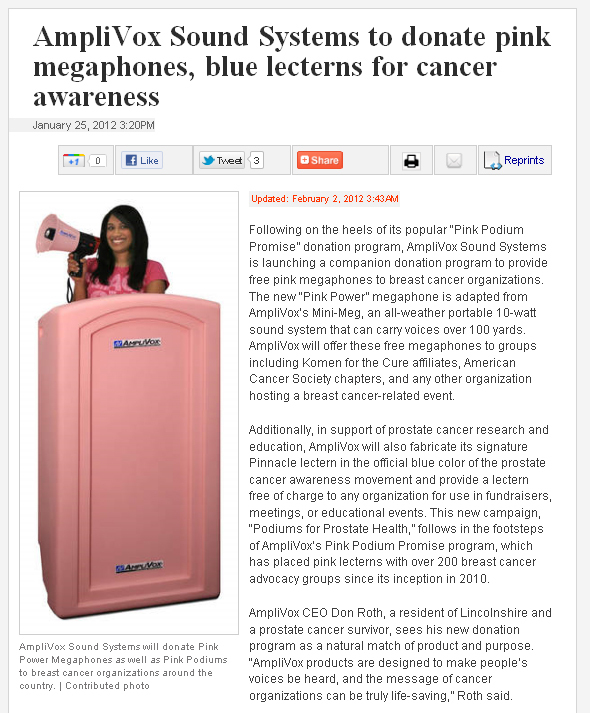 Ever since AmpliVox CEO Don Roth donated AmpliVox products to his cousin who was organizing Breast Cancer Awareness events, Don (a cancer survivor himself) decided to start a major campaign using what he does best, professional presentation equipment, to fight the deadly disease. For more information please read Pink Podium Information Sheet or watch the video below. "The Inland Empire Affiliate of Susan G. Komen for the Cure® would like to thank AmpliVox Sound Systems for sending Komen IE the pink podium! We were able to utilize the podium at our Race for the Survivor Ceremony. I have attached a few photos of the pink podium in use at the Survivor Ceremony! Additionally, we will continue to utilize the pink podium at other yearly events! 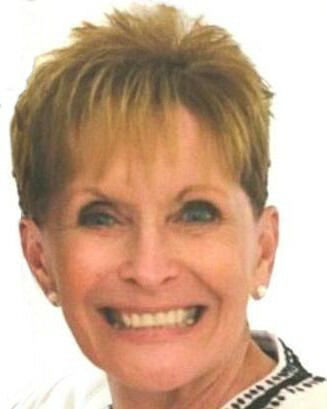 Thank you again for helping us make our 2011 Race a special PINK day! 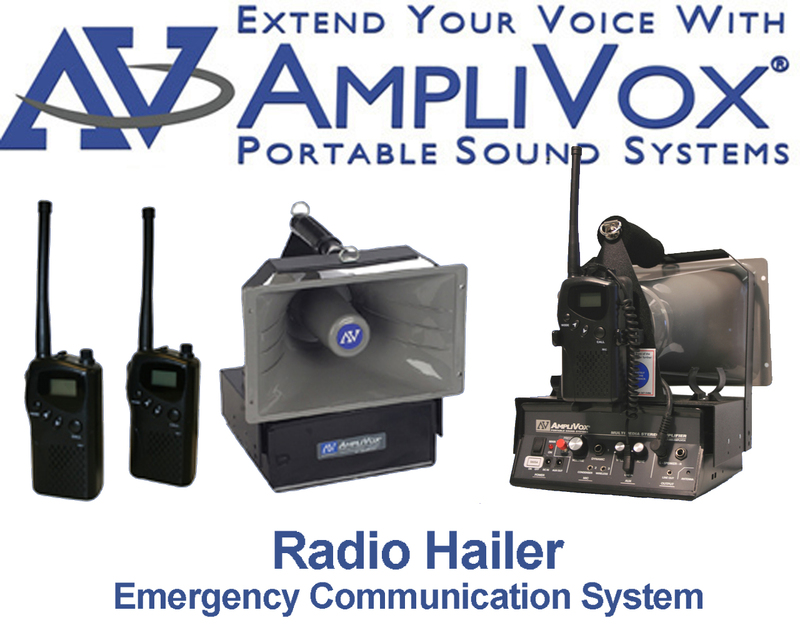 Introducing the Revolutionary Wireless Two Way Radio Hailer Emergency Communication System! 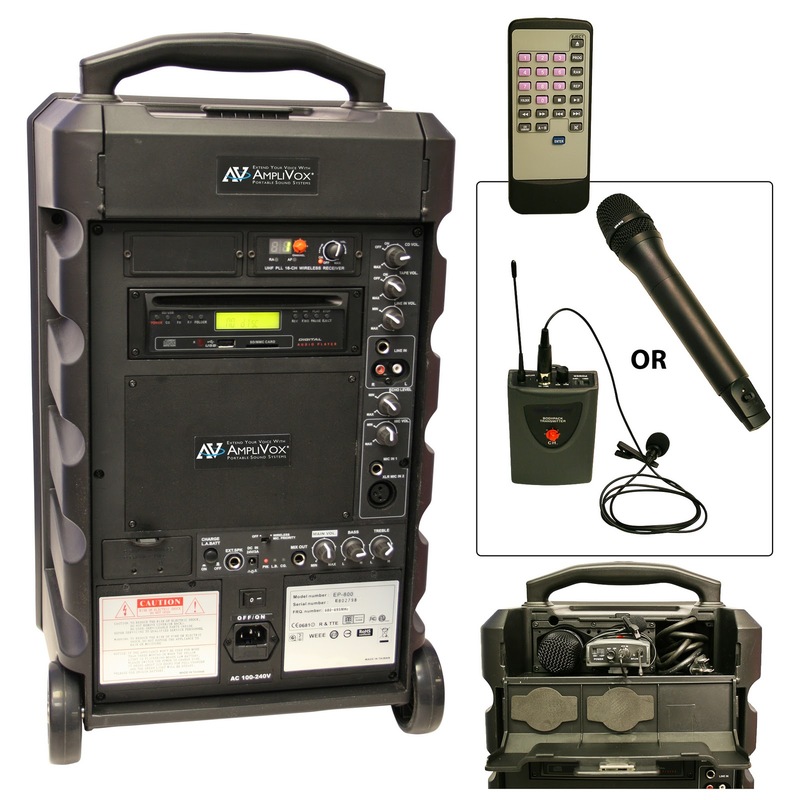 Several months ago, AmpliVox was approached by a major finance institution that wanted a powerful portable PA system that could be spoken through from a far distance for emergency drilling at their office in New York. "If we can produce such a useful and innovative product for one company, why not make it available to all?" 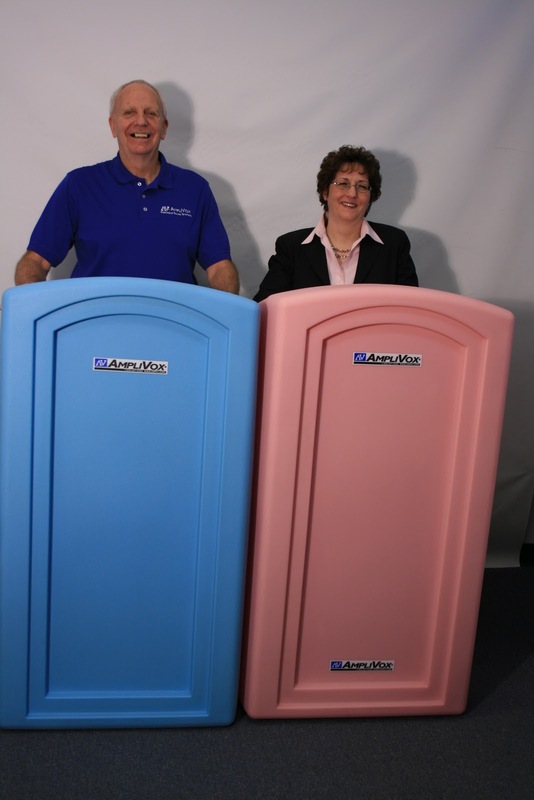 AmpliVox Sound Systems has been hard at work developing a new piece of technology for emergency planners, school officials, and others who need to coordinate with large groups of people in large outdoor areas. 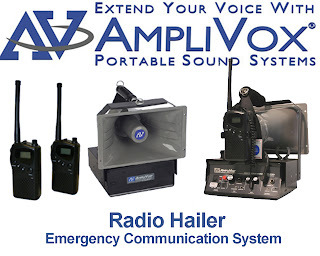 The Radio Hailer Emergency Communication System incorporates a powerful horn amplifier with a pair of two-way radios that allow a speaker to be over one mile away from the PA system and still project their voice through it. This system runs on 10 D Cell batteries and the two way radios run on AA batteries, making this system completely portable and perfect for outdoor activities or emergency situations. The Radio Hailer SW6220 is called the "Command Control Center" which lives up to its name and allows users to control their sound with two speakers with tripods and a handy carrying case. This is a great system for Corporate Safety Teams, Police, Fire, and EMS professionals. For more information please call (800) 267-5486. "AmpliVox, party of 5, your table is ready." Busy restaurants need a convenient way to communicate with customers. AmpliVox's Custom Mountable Speaker Horn Systems are the perfect option to build a system that fits your location and restaurant needs. 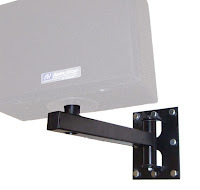 These systems are a convenient and flexible solution to replace expensive in ceiling system and allows you to play music and communicate with patrons. Several of the horns we offer are rugged and weather resistant, meaning they can handle the elements a storm may provide. S805 Amplifier: This is the amplifier that is where the microphone and speakers plug in. 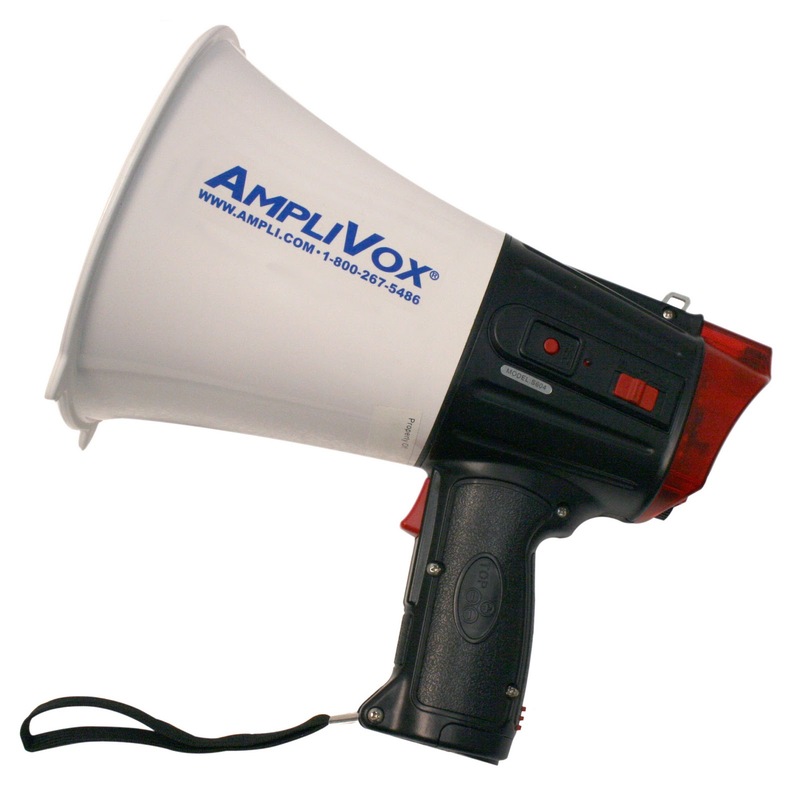 A local High School Marching Band recently used the AmpliVox Half-Mile Hailer for an outdoor marching practice. 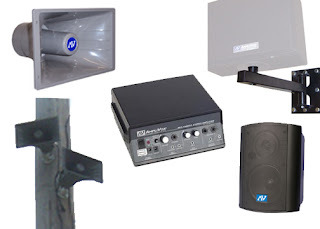 The Hailer is a great PA System for marching bands because it can clearly project your voice over loud noises like band instruments or large crowds. The band director was so happy with how his system with a wireless microphone worked that he sent us the picture on the right. 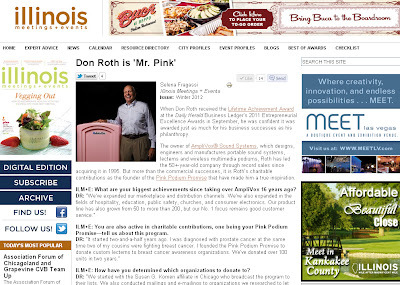 Illinois Meetings and Events Mentions AmpliVox: Don Roth is "Mr. Pink"
It is always a thrill to have your work and efforts noticed and appreciated. What are your biggest achievements since taking over AmpliVox 16 years ago? We have all had one of those experiences. 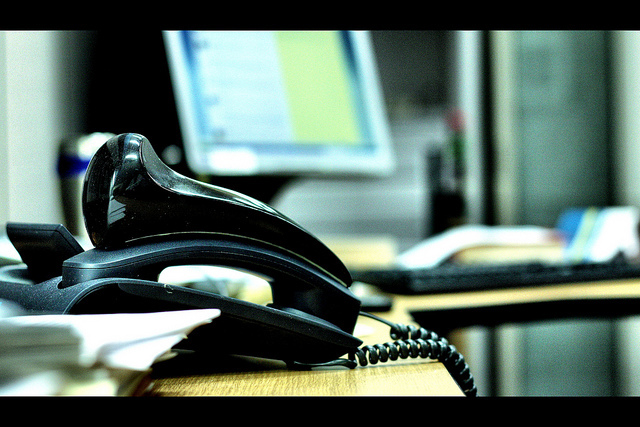 You have a question, comment, complaint, or an urgent request about a purchase you made and instead of getting a real life person, you get a confusing phone system that gets you nowhere. Or if you do get through to a real person, you get bounced and have to wait until they find the right person. We've all been there, and we all hate being treated like that. That is why when you call AmpliVox Sound Systems you will always speak with a live person. We are committed to 100% customer satisfaction and want to ensure the best customer service possible. 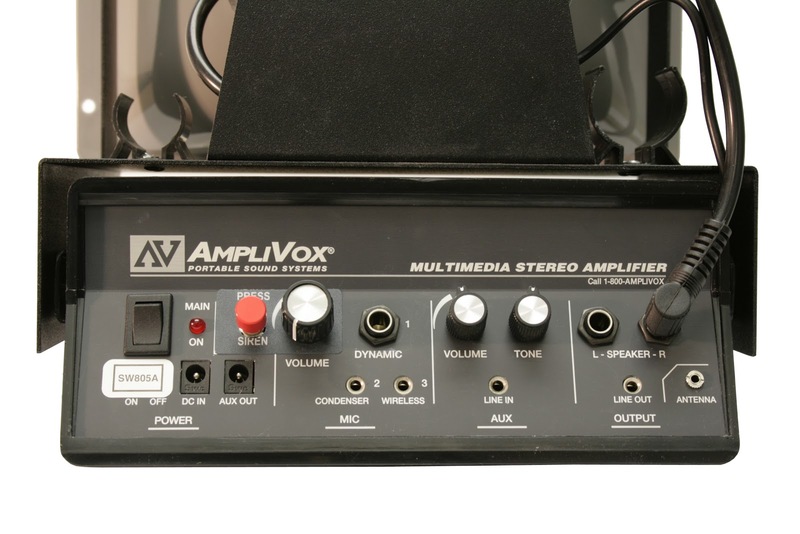 That is the AmpliVox Promise. In late November last year, a local high school marching band marched in the Holiday in the Park Parade in Glenview, IL. Before the Parade began, the AmpliVox iPod Wireless PA System gave the large courtyard a festive spirit playing several holiday classics. 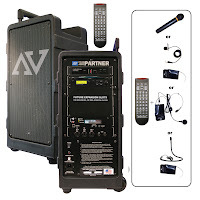 It is also a great system for a parade float due to its wireless microphone, built in rechargeable battery, and remote control. An onlooker mentioned they thought the sound was coming from the school's external PA system and how the booming sound from the iPod Wireless PA system impressed them and filled the entire area, creating a festive atmosphere. To direct cars and parade participants to their proper places, a parade official used the AmpliVox Safety Strobe Megaphone which features an emergency siren and a whistle. The record-and-playback features make this a great partner for people trying to communicate an emergency message. The band director used a Half-Mile Hailer with wireless microphone to direct his band while they were playing. It was a great companion for him because he was easily able to communicate above the large crowd and random noises without needing to be close to the lightweight system. 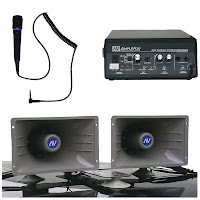 Another product that would be great for a parade is the Sound Cruiser Car PA system. 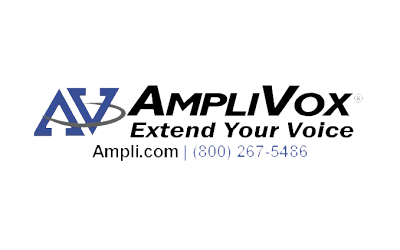 For more information on AmpliVox Sound Systems that would be great for marching bands or parades, please visit Ampli.com or call (800)267-5486. Smartphones are changing the way we live. No longer do smartphone users have to do things like Mapquest directions, look through a phone book, wait until they have a computer for a face-to-face digital conversation, or have to wait for a computer to use Facebook and Twitter. New technologies are changing the way people listen to music too. People do not purchase hard copy CDs as much as they used to but stream music through their smartphone. Now they also change the way we party. 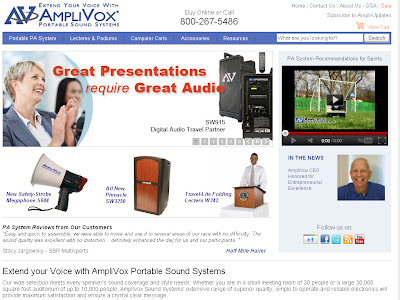 AmpliVox is finding that many of our customers who buy the AmpliVox iPod Portable PA System desire to use their smartphones to play music through the sound system. It is a convenient way to please everybody and take turns choosing songs and not have to plan a playlist. The iPod System or the Digital Audio Travel Partner PA System are great DJ Alternative Systems. The iPod Portable PA System was used at a party recently (pictured) that included playing musical chairs and dancing to the music. The remote control pause button added a fun dimension and many laughs for the participants. The 30 watts allowed the rich and clear sound to travel and fill the entire room with music and voice when talking through the microphone, something a standard boombox dreams of. Another application for this product would be karaoke because you can sing over music and also play DVDs with the built in DVD player. Connect a projector through the line out, and you have a big screen Karaoke player! If you haven't seen already, Ampli.com got a face-lift! Hope you enjoy our new site! 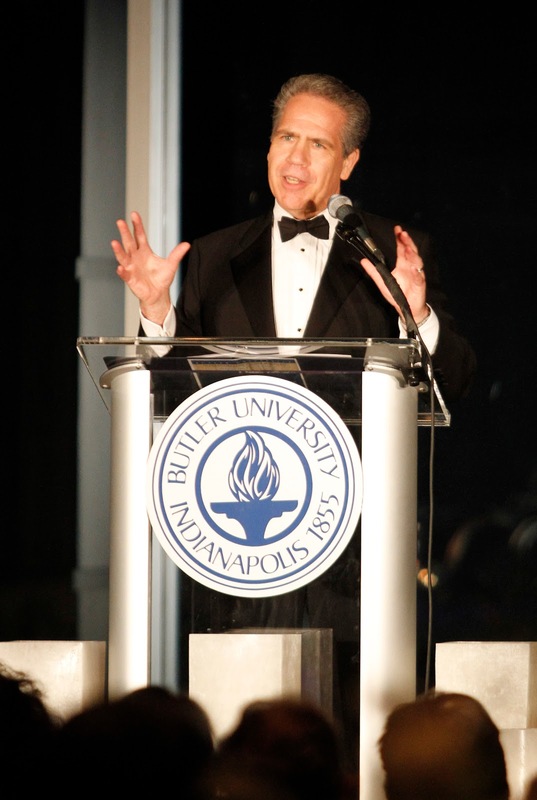 Recently Butler University celebrated the inauguration of their new President, James Danko. The photo is of their new President, James Danko, making his acceptance speech at the Museum of Contemporary Art in Indianapolis on November 12, 2011. 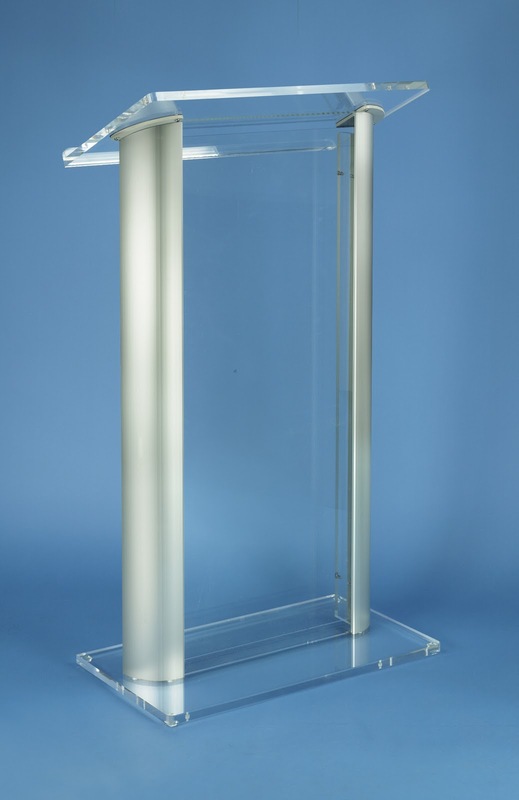 He liked the Contemporary Aluminum Acrylic Lectern so much; they ordered one for their own facilities! This is the same lectern used by the NFL Commissioner during a big press conference. 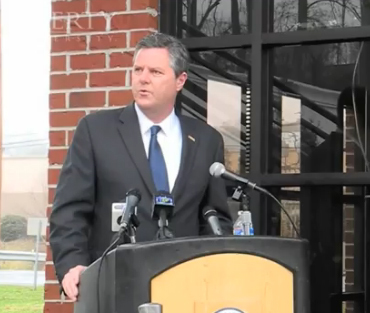 Blog Posts Labeled "Lecterns and Podiums"
Recently Liberty University in Lynchburg, VA used an AmpliVox Pinnacle Podium ST3250 at a ceremony to open a new bridge. The bridge was built to provide students a safe way to cross a busy street. 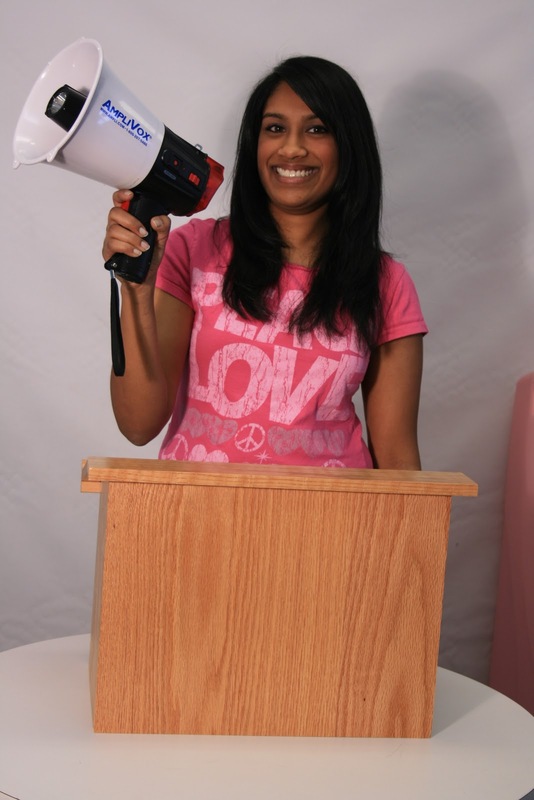 The Pinnacle Podium is a great indoor/outdoor podium that can easily connect to an external sound system (which is what Liberty did) and is available in a table top lectern model. AmpliVox Podiums are available with custom logos as shown in the video below. 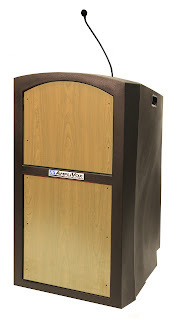 The best selling Pinnacle Podium has an updated look!